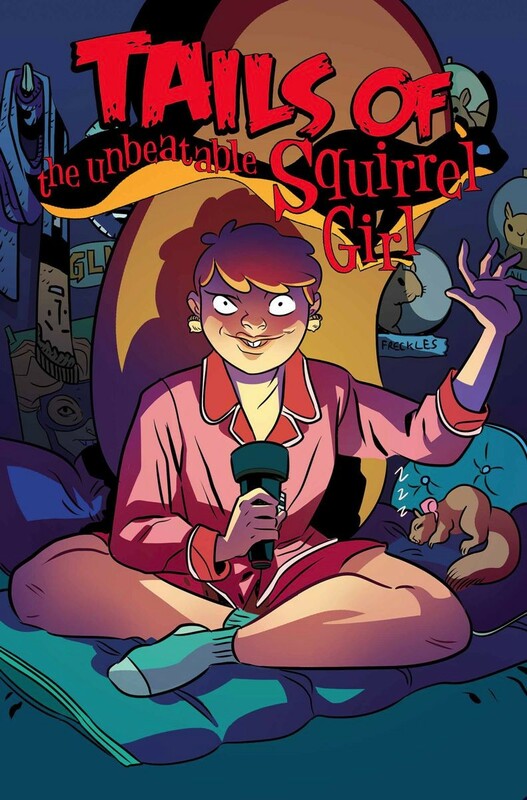 Same Squirrel-time, same squirrel-channel, we’re back with the newest installment of Squirrel Girl! This issue is hilarious, and I loved it. In Issue 5, Nancy is trapped as a hostage in Lady Liberty’s head, while various heroes fight for her safety (and of course the safety of other hostages). While they’re in that bronze brain, Nancy brings up how pumped she is for Squirrel Girl to rescue them, but everyone has a different idea of who she is. 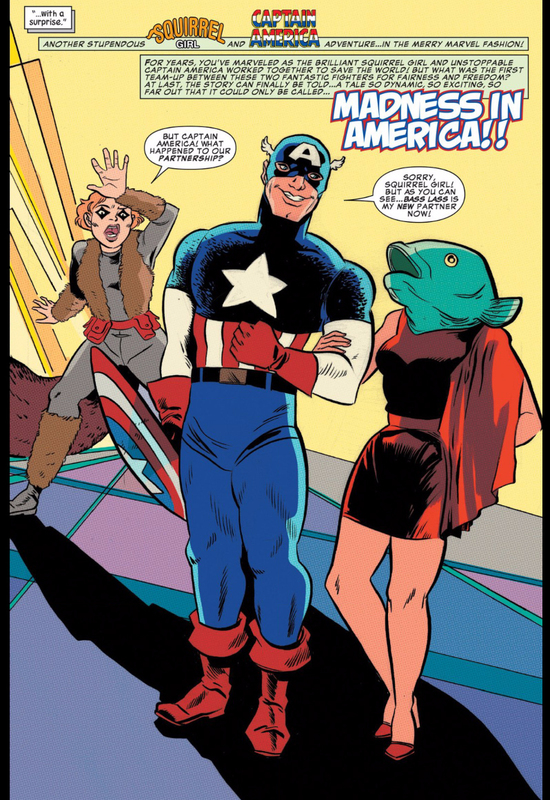 One woman thinks that Squirrel Girl used to work with Captain America and stopped him from being forever fascist. A dude thinks she’s Spider-Man. Some kid thinks she’s from a future, and a grumpy lady thinks she’s full of vengeance. It’s wacky. But Nancy isn’t into it. She wants everyone to know the Squirrel Girl she’s friends with, the one who is awesome and hangs out with her and got Galactus not to eat the earth. That’s the Squirrel Girl everyone should know. Luckily, soon after Nancy drops some serious Squirrel knowledge, Squirrel Girl herself comes to rescue them! Nancy brings up that she’s been held hostage two times since knowing Doreen, and is worried that it’ll keep happening. I hope it doesn’t, in the same way that I hope Squirrel Girl’s identity doesn’t ruin their newly strengthened friendship. 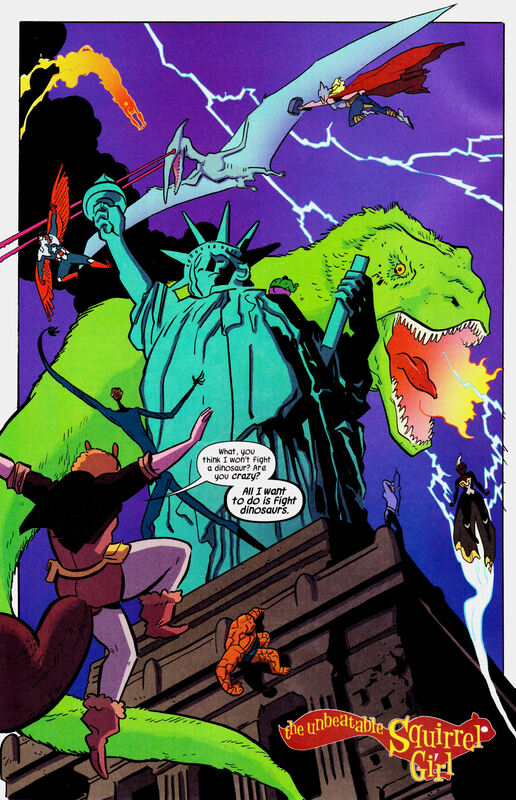 Basically Squirrel Girl is one of the best books out there right now, and you really need to be reading it.